Imagine a holiday tune created with no key signature and using only the first few notes learned that's suitable to perform after only a few months of instruction. 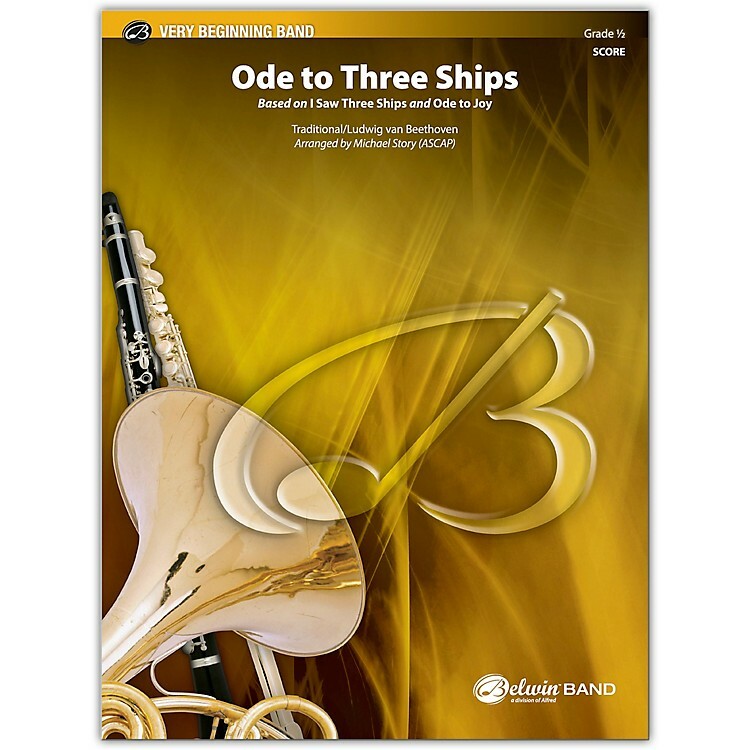 This arrangement is a mash-up using the popular Christmas carol "I Saw Three Ships" combined with Ludwig van Beethoven's "Ode to Joy" from his 9th Symphony. Merry first 'band' Christmas!